Capharnaum – The Tales of the Dragon-Marked PDF out now! We’re delighted to announce the release of Capharnaum – The Tales of the Dragon-Marked, a brand new roleplaying game and a major new release from Mindjammer Press. Translated from the original French RPG from Studio Deadcrows, and edited and produced by ENnie-award winning writer Sarah Newton (Mindjammer, Legends of Anglerre, Achtung! Cthulhu, Monsters & Magic), this gorgeous 384-page full-colour hardback is the first in a series of releases for this exciting and action-packed game. You bear the Dragon Mark. You are destined for great things, adventures where you’ll write the history of the world. In a land of mysteries and magic, where East meets West on the burning sands of Jazirat, your future awaits. Discover a whole new world, confront djinn, gods, and dragons, and take your place among the heroes of the age! Capharnaum – The Tales of the Dragon-Marked is a fantasy roleplaying game set in a world of Arabian Nights, Argonauts, and Adventure. Inspired by the One Thousand and One Nights, the myths of ancient Greece, and the legends of the Crusades, it’s where history meets myth, and where legends are born. A whole new world of history, legend, and myth – a profound and original setting. Simple yet flexible rules encouraging player inventiveness up to epic levels of play. Peoples, gazetteer, and bestiary for the land of Jazirat, inspired by Middle- Eastern history and myth. Gorgeous maps and full-colour artwork. The PDF version of Capharnaum – The Tales of the Dragon-Marked is available immediately today from Modiphius.net and DriveThruRPG. The full-colour 384-page hardback and complimentary PDF will be available for pre-order from Modiphius.net from Wednesday 25th July 2018, and will ship on the 30th August. And the game will be available in your friendly local game store shortly after! We hope you enjoy this exciting new roleplaying game, which joins other Mindjammer Press products such as Mindjammer – The Roleplaying Game and the Monsters & Magic RPG. Grab your scimitar, mount your camel, and enter the djinn-haunted ruins in the desert wastes. Adventure awaits! The Capharnaum Kickstarter – OPEN NOW! Today, Mindjammer Press is delighted to announce the launch of the Capharnaum Kickstarter, a new campaign to fund the production of the English-language version of this gorgeous and action-packed fantasy roleplaying game, originally published in French by Studio Deadcrows. Arabian Nights-style adventure in a fantasy world of crusaders, ancient empires, world-striding heroes, and mysterious draconic powers, Capharnaum comes as a beautiful 400-page hardback core book, and a complete line of supplements, adventures, screen, and support material which we’d like to ask you to help us fund. Check out the campaign today by clicking here or on the image above. As a book, Capharnaum is a gorgeous artefact – beautiful and evocative artwork, and a profound and fascinating setting that riffs off historical and mythic themes to create a compelling game world. It also has a custom system which really hits our sweet spot: simple, elegant, and quick to learn, it’s also extremely flexible in play, and allows for some real depth with increasing system mastery. It’s been a sparkling gem on the French RPG scene for ten years, and has recently celebrated its decade with a second edition, and Mindjammer Press is proud to have the opportunity to bring it to an English-language audience. But your characters are above and outside these conflicts. You play one of the Dragon-Marked, individuals from any nation or tribe, marked by the mystical dragons, servitors of the gods, for a mysterious destiny. You find yourself thrown together with people who might otherwise be your foes, working together to change the world… Will you heed the call to adventure? We’re launching the Capharnaum campaign today – right now, in fact – so please check out the campaign page where there’s a video and lots more information about the game. Also, as ever, we’re available for Q&A on the Kickstarter comments page, and to assist with anything you need. It was such an experience running the Mindjammer Kickstarter campaign two years ago, it’s been totally life-changing and has led to some awesome friendships and – we hope you’ll agree – a fantastic series of supplements and scenarios of ever-increasing quality which shows no signs of stopping! We’re very excited at the prospect of jumping in again, and we hope you’ll join us to explore this spectacular FRP game line and setting. The Mindjammer Player’s Guide and the Enhanced Commonality Space Schematic – OUT NOW! We’re delighted to announce today the release of The Mindjammer Player’s Guide – Adventuring in the New Commonality of Humankind, a major new rules release for Mindjammer – The Roleplaying Game, from ENnie-award winning writer Sarah Newton (Mindjammer, Legends of Anglerre, Achtung! Cthulhu, Monsters & Magic). The essential Fate Core system, all the rules you need to create and play characters in the Mindjammer universe—including rules for creating and playing sentient starship characters! Descriptions and histories of the New Commonality of Humankind. New starmaps, homeworlds, and genotypes of Commonality Space. Rules for the Mindscape and virtual worlds. Note that while the Mindjammer Player’s Guide contains some new content, it also reiterates much of the material of the Mindjammer – The Roleplaying Game Core book. You don’t need the Player’s Guide if you already have that book – although your players may love a copy! At the same time, we’re also releasing The Enhanced Commonality Space Schematic poster map, a gorgeous remastered and updated version of the New Commonality Schematic from the Mindjammer Core Book and Mindjammer Player’s Guide. Expanded with new information and illustrations of key worlds and system data, the Enhanced Schematic comes in both high-resolution PDF and TIF formats and also as a Desktop Wallpaper for your tablet or PC! Visualise the vastness of the New Commonality of Humankind with this gorgeous artwork schematic by Mindjammer lead artist Jason Juta (Mindjammer, Shadowrun, Gamma World, Warhammer 40K, Battletech, Song of Ice and Fire). The Mindjammer Player’s Guide and The Enhanced Commonality Space Schematic are available now in PDF digital format on Modiphius.net and DriveThruRPG, with the print edition available from the 23rd November. 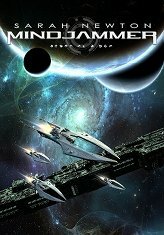 Mindjammer: The Core Worlds Sourcebook and The Mindjammer Companion – OUT NOW! We’re delighted to announce the launch today of two brand new supplements for Mindjammer – The Roleplaying Game! First up is The Core Worlds Sourcebook, by Sarah Newton (Mindjammer, Achtung! Cthulhu, Legends of Anglerre, Monsters & Magic, The Chronicles of Future Earth), David Donachie (Mindjammer, Legends of Anglerre, Solipsist), Paul Mitchener (Mindjammer, Age of Arthur, Mythic Britain, Starfall), and John Snead (Mindjammer, Aeon Trinity, Exalted, Blue Rose, The Dying Earth). The Core Worlds Sourcebook details a vast sector of Commonality Space for your Mindjammer games. Focussing for the first time on the ancient, decadent, and sophisticated heart of the Commonality, it provides you with deep background and material to explore this fascinating region. Play Fringe Worlders experiencing the strangeness of the Core first-hand, or Core Worlders, sure of their superiority, until they leave their homes and are found wanting. Play planetary sentiences ruling whole worlds, ancient dynasties with plans crossing millennia, illegal xenomorphs fighting oppression and neglect in the forbidden substrates beneath the towering arcologies. Push the boundaries of transhuman science-fiction gaming—explore what it means to be human itself. A bright, bizarre, and thought-provoking milieu for your Mindjammer games! The history and background of the Core, including lavish maps, new genotypes and strange subcultures. Deep detail on Manhome, including maps and descriptions of Old Earth, Old Mars, Green Moon, and more! The Fargate Network and the mysterious 3-Space Instrumentality. Descriptions, artwork, and stats for the Custodians—the secret rulers of the Core Worlds. Guides for Core Worlds campaigns. Go beyond what it means to be human! History and background of the Outremer Subsector, including subsector octant maps. Essays on the conflicting economic systems which vie for supremacy out beyond the Frontier, far from the Resource Allocation Sentiences of the Commonality core. The five generations of Commonality starship design. An octant map of the Heritage Contestation and planetary maps and writeups for 30 adventure-packed worlds! The Mindjammer Companion presents material which originally appeared in the Mindjammer (Traveller Edition) sourcebook, converted and repurposed for use with the Fate Core system and Mindjammer—The Roleplaying Game. The Mindjammer—The Roleplaying Game core book is required for play. Both The Core Worlds Sourcebook and the Mindjammer Companion are now available in PDF format on Modiphius.net and DriveThruRPG, with the print edition available from the 23rd November. We’re delighted to announce the launch today of CHILDREN OF ORION – THE VENU SOURCEBOOK, the brand new supplement for our transhuman science-fiction RPG Mindjammer – The Roleplaying Game, by Mindjammer creator Sarah Newton and David Donachie (Legends of Anglerre, Solipsist). YOU WILL KNEEL BEFORE THE EMPEROR—OR DIE! Welcome to the Bright Empire of Venu—the interstellar civilisation of the “bad guys” of Human Space! An ancient people of xenophobic human supremacists, survivors of an ancient war, now hellbent on cleansing the cosmos of abomination and bringing the purifying word of their undying God-Emperor to the stars. Children of Orion—the Venu Sourcebook provides a whole new universe of adventure for your Mindjammer games—a harsh and violent interstellar empire beyond the Commonality frontier. Play rebels against the domineering rule of the God-Emperor, mutated troopers and servitors of the sinister Dark Radiance fighting against the cultural inroads of the Commonality—or Commonality agents themselves, working behind enemy lines to defeat an implacable foe which once devastated the Core Worlds! It’s a completely different vibe for your Mindjammer games—darker, more desperate, where the survival of an entire people is at stake. Guidelines for playing Venu campaigns. Fight against the Venu, or play a Venu character yourself! Also check out Sarah Newton’s blog post today on the genesis of the Venu and Children of Orion. Children of Orion—the Venu Sourcebook is now available in PDF format on Modiphius.net and DriveThruRPG, with the print edition available from the 23rd November. Mindjammer Press – Fifth Birthday Sale! 20% off! Late last month Mindjammer Press turned five years old, marking half a decade of publishing role-playing games and related fiction! It’s been an absolute whirlwind – two RPGs, over a dozen books, and three expansive and exciting settings for adventure. And of course we couldn’t have done any of this without you! To celebrate our fifth birthday, we’re holding a one-week sale of all our Mindjammer Press products (Wed 4th October thru Tuesday 10 October), with a full 20% off all our PDF products and selected print products on both DriveThru RPG and the Modiphius Entertainment webstore. The sale covers the Mindjammer – The Roleplaying Game range of RPG and fiction products (core book, supplements, and novel), the Monsters & Magic roleplaying game, and the new novel for the upcoming Chronicles of Future Earth RPG setting, The Worm Within. Check it out today! We’d like to say a HUGE thank-you to everyone who has supported us over the past five years, buying and playing our games and books, backing our Kickstarter, helping spread the word, and encouraging us to keep producing our games and worlds, and of course a special thanks to Chris and Rita Birch and all the team at Modiphius Entertainment for being such awesome distribution partners. We hope you’ll join us for many more years and worlds to come! “Classic fantasy packed with exquisite and original touches…” – Jaine Fenn, author of the Hidden Empire series. Mindjammer Press is delighted to announce the release today of THE WORM WITHIN, the new cosmic fantasy novel from ENnie Award-winning writer Sarah Newton (Mindjammer, Achtung! Cthulhu, Monsters & Magic, Legends of Anglerre). Subtitled “The First Chronicle of Future Earth”, this is the first in a series of epic fantasy novels set in the strange world of Earth’s very far future, a world of uncanny gods and demons, weird sorceries, and ancient and deadly technologies. In trade paperback and ebook bundle (PDF, epub, Kindle MOBI) from our awesome distribution partner, Modiphius Entertainment. In ebook bundle (PDF, epub, Kindle MOBI) and (very shortly) trade paperback from DriveThruFiction and DriveThruRPG. In trade paperback and Kindle version from Amazon (.com, .co.uk, .ca, .de, .fr, etc). In bookstores via Ingram Group distribution (please ask your bookstore to order you a copy if they don’t have it in yet!). Available via other major ebook retailers (iBooks, Barnes & Noble, etc) in the new few days. THE WORM WITHIN marks the start of a major new line of fiction and RPG titles from Mindjammer Press, to be followed by our Chronicles of Future Earth RPG crowdfunding campaign later in 2017. Just us, and take up the cry for Heroes, to stand against the dying of the light and save the world from the sins of its past. The Autocracy abides! “Thrilling, inventive, and full of wonder.” – Howard Andrew Jones, author of The Desert of Souls.